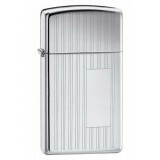 Zippo make the ultimate windproof lighter. Each Windproof Lighter is identified by its proper manufacturing code and all our Zippos come with the renowned lifetime guarantee. 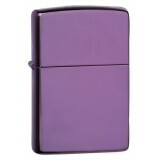 A plain Abyss purple coloured Zippo lighter. .. Antique brass effect Zippo lighter. Plain design. .. 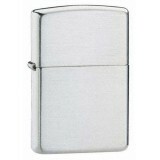 Brushed Sterling Silver Zippo lighter. Armor casing 1.5 thicker than standard. 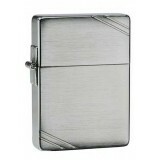 The Sterling Silver..
Polished Sterling Silver Zippo lighter. Armor casing 1.5 thicker than standard. 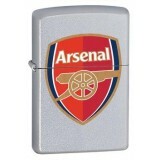 The Sterling Silve..
A Satin Chrome Zippo Lighter with the Arsenal Football Club logo on the front. 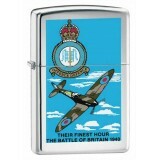 Official Arsenal Me..
Polished chrome Zippo lighter with a Battle of Britain Spitfire design. 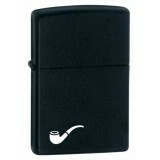 ..
A Plain Black Crackle Zippo Lighter. 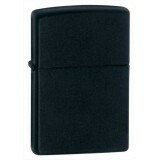 ..
Black ice plain black Zippo lighter. 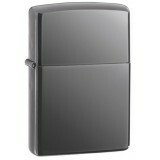 ..
Black ice Zippo lighter in the style of the 1941 Zippo. 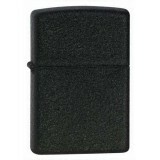 ..
A plain matte black Zippo lighter. Part of the Matte Colour Series. ..
Matte black Zippo Lighter. Designed to light pipes more easily. 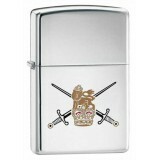 ..
Polished chrome Zippo lighter with a British Army logo. .. 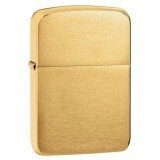 Brushed Brass plain Zippo lighter made with an Armor casing. The Armor casing is 1.5 times thicker.. 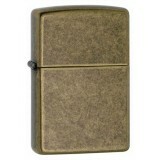 Brushed brass replica 1941 genuine Zippo lighter. Plain design. .. 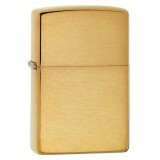 Brushed brass Plain Zippo lighter with Solid Brass etched onto the lid. One of the most popular li.. 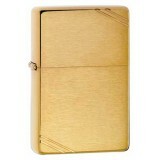 Brushed brass Zippo lighter with Vintage parallel lines design in 2 corners. .. This Zippo lighter's design features include a brushed chrome body of plain design. Armor lighters.. Replica of the original Zippo design as it was in 1935. 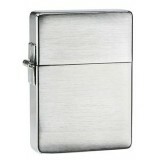 Plain brushed chrome Zippo lighter. .. Replica of the original Zippo design as it was in 1941. Brushed chrome Zippo lighter. ..